About San Diego Immigration Lawyer Habib Hasbini, Attorney at Law. 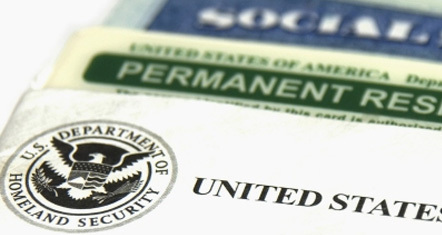 San Diego Immigration lawyers at the Law Offices of Hasbini specialize in immigrant and non-immigrant visa processing, U.S. permanent residence, green card, working visas, H-1B’s, business and investment visas, naturalization, corporate and business immigration, political asylum, as well as deportation and removal matters. Our San Diego immigration law firm Law Offices of Hasbini has helped thousands of individuals successfully handle their immigration problems. Law Offices of Hasbini immigration lawyers are successful and compassionate immigration lawyers dedicated towards helping immigrant community. We strive to provide immigrants, the legal service and rights they deserve. We combine our personal experience, our knowledge of the immigration system, and our extensive legal experience to provide the immigration services you need. With 10/10 Perfect Avvo Rating, and a staff that’s fluent in Arabic, English, French, and Spanish, Law Offices of Hasbini can provide highest quality of care and service at highly reasonable rates. Moreover, what sets us apart from other immigration law firms is that we offer FREE Consultation service to those seeking legal help regarding immigration issues. Every individual and business has different needs. We will listen to your concerns and help you understand how the law applies to your situation. We are dedicated to giving you the attention you deserve. We will not pass your case off to an assistant or paralegal. When you come to our firm, you will receive individual attention and aggressive representation from your lawyer.